On Friday the 8th of June our GNSK weekend in Wageningen started, which we back than only could presume would be a great weekend. At first we had some delicious curry at Bart’s’ house, afterwards we transformed the gymnasium into a professional gymnastics hall. 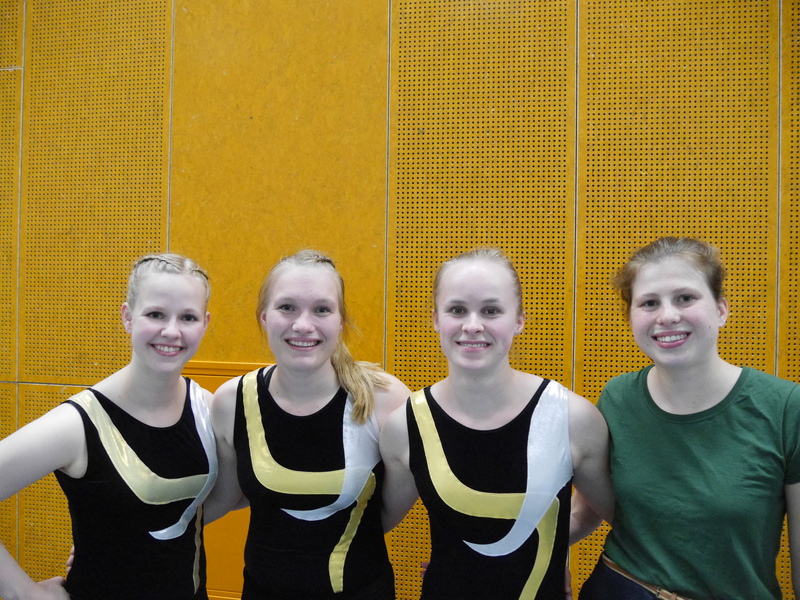 Luckily we had help from several other gymnastics associations for the set-up, otherwise it would have been a long and frustrating night. The least to say is that it is more fun to jump on the gymnastics floor, than assembling the floor. The next day 9th of June at 10 o’clock the first apparatuses were already in full use, also SPLIT participated in the morning with two teams. 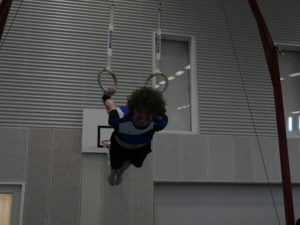 After a successful morning and impressive gymnastics, the second round started after lunch. SPLIT was represented by two teams. After more amazing floor routines and overall performances, where Marcel landed an eye wink from Amsterdam, where Laura landed with one foot, where Loes showcased an amazing uneven bars routine, where Rosanne saved herself with determination not to fall on floor, it was time to dismantle the hall and get ready for the prices. Thanks to everyone that performed and made this event possible we can proudly say that Wageningen SPLIT is on the second place in the city wide ranking. To celebrate this we gathered at Esmee’s for a round of 30 seconds, followed by remarkable dance moves at the party in the Spot. Finally I would like to thank the committee that made it all possible (Loes, Bart, Giulia and Myrthe). We presumed that it would be a great weekend and it absolutely was a great weekend, hopefully we see you next year GNSK! ?